Jim and Caroline Clennell have been a part of the ChipsAway network since October 2016, and have had a fantastic first year of trading, winning ChipsAway's coveted ‘Newcomer of the Year’ Franchisee Award at the company's annual conference. 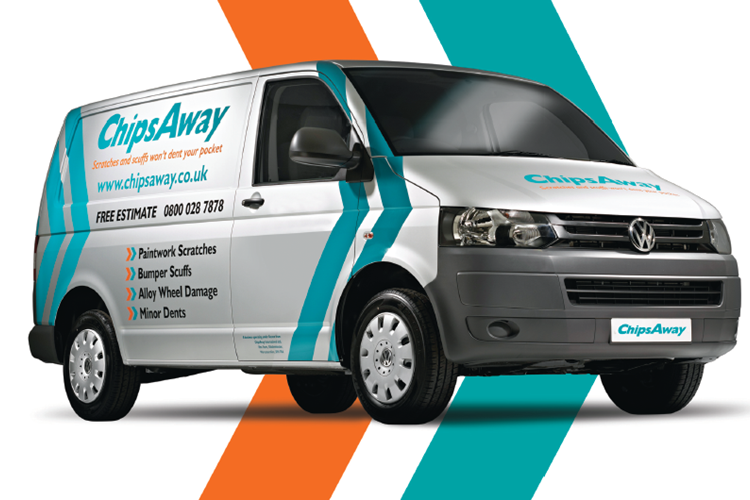 ChipsAway Stroud and Cirencester carry out Small to Medium Area Repair Techniques (SMART Repairs) on a wide range of vehicles. Solving common problems such as small dents, paint scratches and other bodywork repair. Really good service, quick to quote and great contact throughout. Very professional. First Class - Needed several scuffs and scratches removed before car returned off lease. Contacted Jim Clennell (Stroud) who came round within hours to assess the job and fix date for doing it. On due date (a perishing day! ), there on the dot and job done within a couple of hours, including several additional scuffs we found as the ... Read more job progressed. Job done very professionally and the results are remarkable. Many thanks Jim, for a first-class job. Excellent level of service! Very prompt in coming out to look at our car and sending us the quote. Friendly and helpful, which is what you need when trusting someone with your car. The level of work carried out was outstanding! There is absolutely no trace of the original marks! We're very pleased with the level service received from Jim and Caroline. Definitely recommend!! Had a very speedy quotation the day after I had made enquiries. Communications were excellent and all times were kept. Was offered a car while my car was being repaired. Repair itself was very good. Definitely recommend Jim and Caroline Clennell at Stroud branch. The second time I 've used 'Chips Away' in the form of Jim Clennell, I'm completely Satisfied with his work and the system! On a personal note Jim is very personable and great to deal with and I will be very happy to use him again, should the occasion arise! Most impressed with everything to do with ChipsAway right from the get go. The important thing is the standard of work which really was excellent. I am very pleased with the repairs and would not hesitate to recommend Caroline & Jim to friends and family. Furthermore I will use them again should the need arise. It was a pleasure to do business. We could not be any more thrilled with the work - and just as importantly, the service - Jim and Caroline provided! A tough repair of deep gouges on the rear door and quarterpanel from a brick wall, and on top of an unknown previous poor quality repair, they beautifully completed the work, matched the paint, and the entire side ... Read more (multiple panels) are blended so seamlessly we can't tell there was ever damage. Their responsiveness, accessibility, and pickup/dropoff service - leaving their courtesy car in our driveway! - could not make this any easier. We googled Chips Away on recommendation from a colleague, and can't believe our good fortune that Jim and Caroline own this franchise in our area. Please patronize their business! We wish them all the very best! And are grateful we have our forever scratch and dent people. Excellent work ethic, great results! - I wouldn't hesitate to use Jim Clennell again, I'm very pleased with the end resulting paint repairs! Great service from Jim Clennell(Stroud&Cirencester). A+ Would use again. Excellent, friendly and efficient service from Jim + Caroline. Excellent service, very flexible on timing, came to collect my car which made it very easy, and the repair to the scratch is literally invisible. Highly recommended. Excellent 'old fashioned' personal service received from Jim & Caroline based in their workshop nearr Stroud Glos. From quotation to repair in a day & availability of a courtesy car on collection of my vehicle 17 miles away. Very happy to use again should the need arise & recommend to others in similar predicament - annoying ... Read more 'supermarket car park' type scratch incurred in my newly purchased car. Thank you to Caroline and Jim at ChipsAway in Stroud for a very excellent repair to my car this week. It's not just the quality of the repair that impressed me, it was their thoughtfulness too. Attention to detail is in their DNA.